For over 30 years, Freshway Foods has supported local farms. Our locally grown produce is grown on family-owned farms, many of which have been growing produce for generations. We have long-term relationships with our growers, many of which we have been doing business with for decades. We spend significant time in the fields, inspecting product and ensuring our growers are following the most stringent quality and food safety practices and procedures. All of our growers pass and maintain GAP (Good Agricultural Practices) and GHP (Good Handling Practices) standards, and participate in regular audits to ensure the highest quality product for our customers. Buying locally supports the local economy and reduces our food miles. 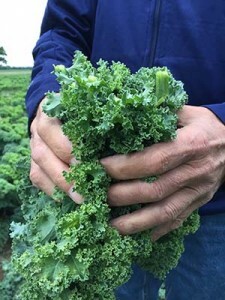 Our locally grown program commodities include Michigan apples, Michigan and Ohio cabbage, Ohio cucumbers, squash and bell peppers and Michigan kale and romaine. Additional commodities are available – check with your Freshway sales representative for details. Click here to learn more about Freshway’s complete product selection.